I added a nice assortment of antiques in small, medium, large sizes. I also added a lot of new hand hammered bowls. These are the best singing bowls made today, made with the same metal and techniques as the real antiques. That includes my new Faith, Hope, Love and Peace designs, which sold out very quickly but are now back in stock - I have a variety of sizes and tones available. 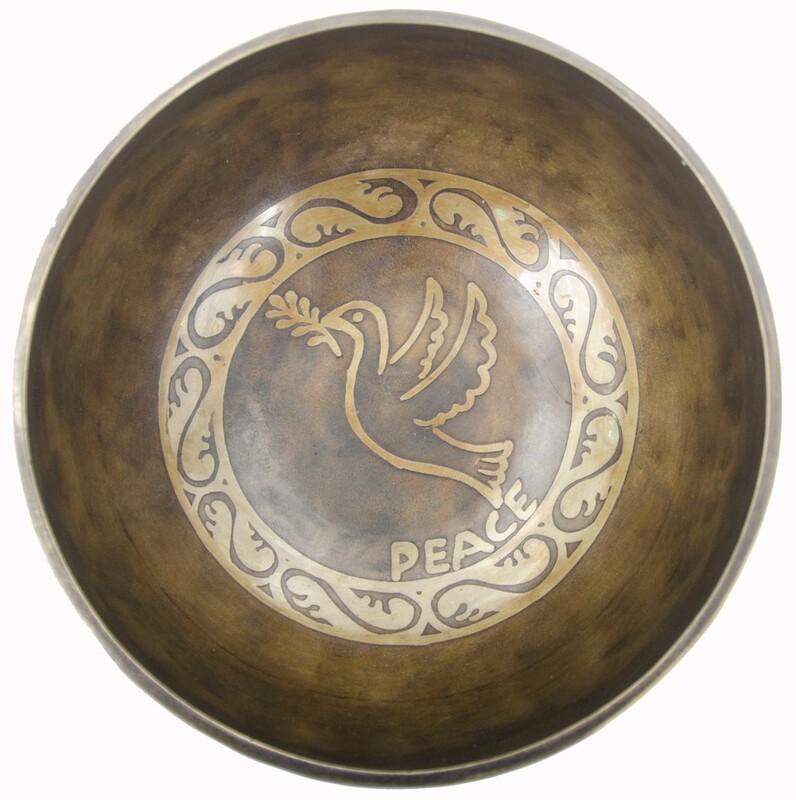 People really love my new designs - these singing bowls carry spiritual intentions along with the complex tones and healing vibrations. 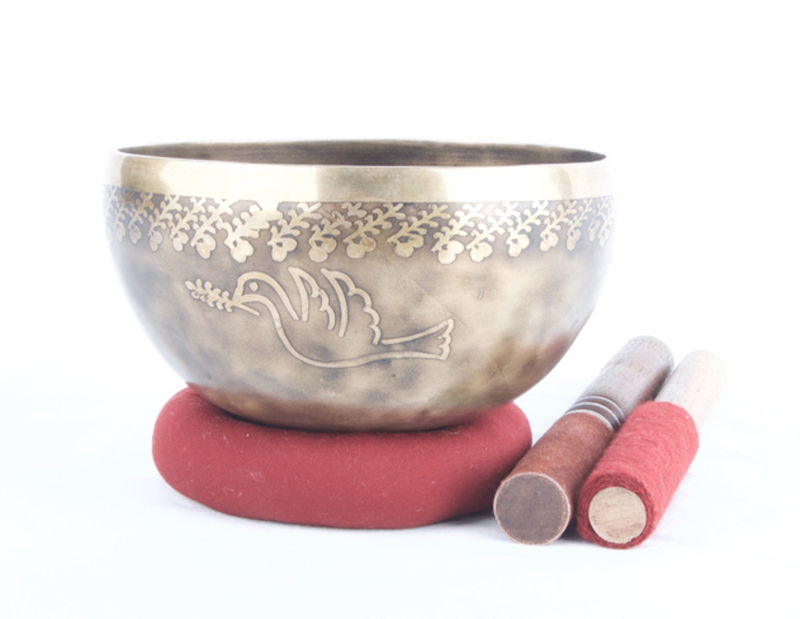 They are truly marvelous sound healing tools! I was looking for a new bowl, as the 50% price cut seems really hard to resist to, but then when asking for a shipping quote via the dropdown menu, I got 65$ for shipping to London UK . Anyway very good website and easy to navigate, and wonderful to be able to listen to the sound samples. I have to save more and hopefully buy it before Christmas. Everything you do comes back to you!Respect LIFE, Share PEACE, Live NOW! Hi, we only charge the actual postage, but shipping from California to the UK is expensive. You also have to pay import duty.